Bădulescu, A. and Ban, O. (2005), “Turismul religios”, Revista Amfiteatru Economic, Ed. ASE, Bucharest. Brandon, S.G.F. (ed.) (1970), A dictionary of comparative religion, Weidenfeld and Nicolson, London. Bremer, T. (2005), Tourism and Religion in Encyclopedia of Religion, L. Jones (ed), Macmillan, Detroit. Cristureanu, C. (1992), Economia si politica turismului internațional, ABEONA, Bucharest. Dumbrăveanu, D. (2008), Politici promotionale in turism, Ed. Universitară, Bucharest. Durant, W. (1950), The Age of Faith, Simon & Schuster, New York. Ester, P., Loeck, H. and de Moor, R.A. (1993), “Value Shift in Western Societies”, in P. Ester, H. Loeck and R.A. Ruud de Moor (eds. ), The Individualizing Society: Value Change in Europe and North America, Tilburg University Press, Tilburg. Gheorghe, M. (2004), Religie si schimbare sociala in Romania, Ed. Fundatiei Axis. Iasi. Gheorghilaș, A. (2014), Geografia Turismului – Metode de analiză in turism, Ed. Universitară, Bucharest. Gillet, O. (2001), Religie si nationalism. Ideologia Bisericii Ortodoxe Romane sub regimul communist, Compania Altfel, Bucharest. Gombos, S. (2009), Credinta si Spiritualitate in Universul Concentrationar Comunist, crestinortodox.ro – Cea mai mare comunitate ortodoxă din lume, viewed on 12 April 2017, https://goo.gl/cW7inL. Jackson, R.H. and Henrie, R. (1983), “Perception of sacred space”, Journal of Cultural Geography, vol. 3, no. 2. Kitagawa, J.M. (1994), In căutarea unitatii. Istoria religioasa a omenirii, Ed. Humanitas, Bucharest. 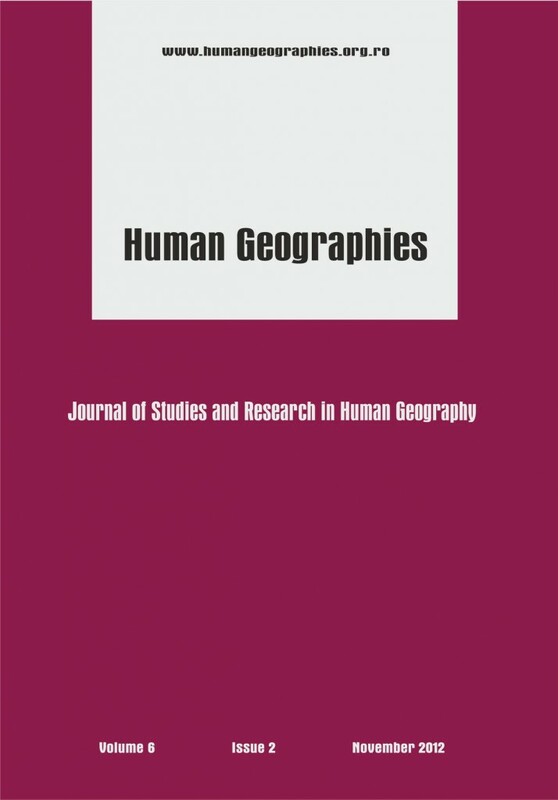 Kong, L. (1990) “Geography and religion: trends and prospects”, Progress in Human Geography, vol. 14, no. 3, p. 355-371. Margry, P. (ed.) (2008), Shrines and Pilgrimage in the Modern World: New Itineraries into the Sacred, Amsterdam University Press, Amsterdam. Meyendorff, J. (1996), Biserica Ortodoxa ieri si azi, Ed. Anastasia, Bucharest. Moldoveanu, M. and Ioan-Franc, V. (1997), Marketing şi cultură, Ed. Expert, Bucharest. NA, (2018), Organizarea Administrativă, viewed on 12 January 2018, https://goo.gl/3s6XNX. Pearce, P. (1993), Fundamentals of Tourist Motivation, in Tourism research: Critiques and challenges. D.G. Pearce and R.W. Butler (eds. ), Routledge, London. Raj, R. (2012), “Religious tourist’s motivation for visiting religious sites”, International Journal of Tourism Policy, vol. 4, no. 2, p. 95-105. Rinschede, G. 1992, “Forms of Religious Tourism”, Annals of Tourism Research, vol. 19, p. 51–62. Rojas-Méndez, J. (2013), “The nation brand molecule”, Journal of Product & Brand Management, vol. 22, no. 7. Secretariatul de Stat pentru Culte, (2014), Statul si cultele religioase, Secretariatul de Stat pentru Culte, Litera, Bucharest, viewed 2 March 2017, https://goo.gl/Len3tv. Stan, L. and Turcescu, L. (2000), “The Romanian Orthodox Church and Post-Communist Democratization”, Europe – Asia Studies, vol. 52, no. 8, p. 1467-1488. Steffler, A.W. (2002), Symbols of the Christian Faith, Wm. B. Eerdmans Publishing Company, Michigan. Tomasi, L. (2002), “Homo Viator: From Pilgrimage to Religious Tourism via the Journey” in From Medieval Pilgrimage to Religious Tourism: The Social and Cultural Economics of Piety, W.H. Swatos Jr. and L. Tomasi (eds. ), Praeger Publishers, Westport. Turner, V. (1973), “The Center out There: Pilgrim’s Goal”, History of Religions, vol. 12, no. 3, p. 198–230. Turner, V. and Turner, E, (1978), Image and Pilgrimage in Christian Culture: Anthropological Perspective, Basil Blackwell, Oxford. University of Amsterdam Press, Amsterdam. Vukonic, B. (2002), “Religion, Tourism and Economics: A Convenient Symbiosis”, Tourism Recreation Research, vol. 22, no. 2, p. 59-64. Weidenfeld, A. and Ron, A.S. (2008), Religious Needs in the Tourism Industry, Anatolia. Willson, G.B., McIntosh, A.J. and Zahra, A.L. (2013), “Tourism and Spirituality: A Phenomenological Analysis”, Annals of Tourism Research, vol. 42, p. 150-168.